A potential portfolio change has been posted to the website. This entry was posted in Uncategorized on December 29, 2011 by Gary. 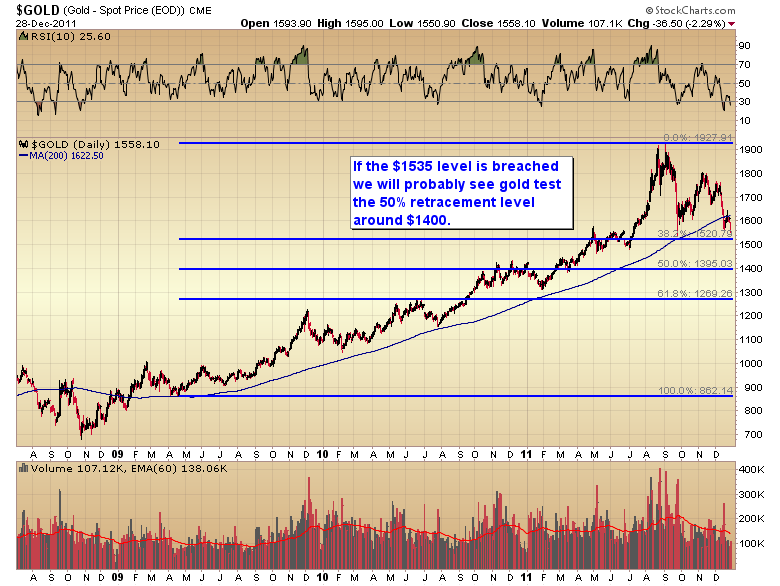 With the move below $1535 this morning gold has confirmed that it is still moving down into a D-Wave bottom. 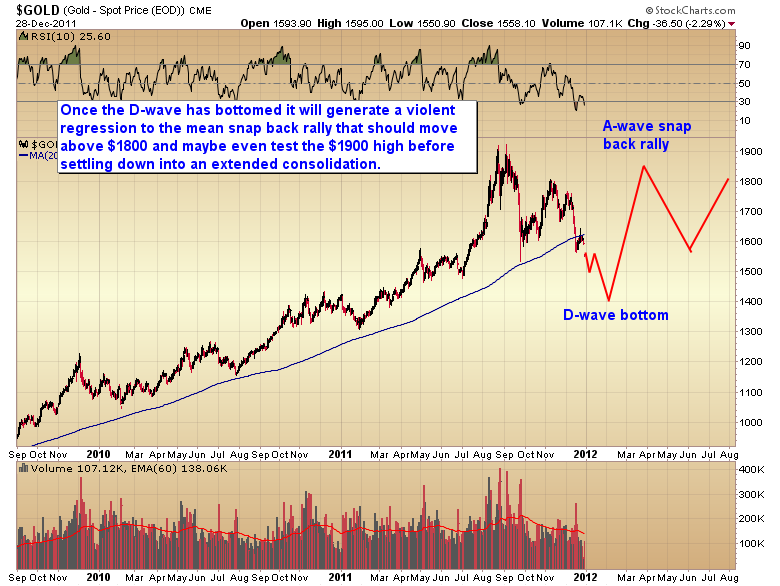 There has been some question as to whether or not the D-Wave had bottomed in September. The penetration of that intermediate low this morning confirms that the D-Wave did not end during the overnight selloff on September 26. In the chart below I have marked with blue arrows the last several yearly cycle lows. As you can see they tend to occur in January or February. The timing band for the next cycle low should occur sometime in early to mid January. That should mark the bottom of this D-Wave decline with the slight possibility that there could be one more short daily cycle down bottoming in early February. This will almost certainly be dependent on whether the dollar cycle has one or two more daily cycles higher before rolling over into an intermediate decline. Current sentiment levels on the dollar index are suggesting only one daily cycle higher, which should signal a final bottom in the gold market sometime in the next 2-3 weeks. If gold can make it back to the 50% retracement in the next couple of weeks I would probably be inclined to call a yearly cycle low at that point. If however gold holds above $1500 at the next daily cycle low due in early to mid-January then I would be wary of one more daily cycle down to test the 2010 consolidation zone and 50% retracement ($1400) sometime in early February. 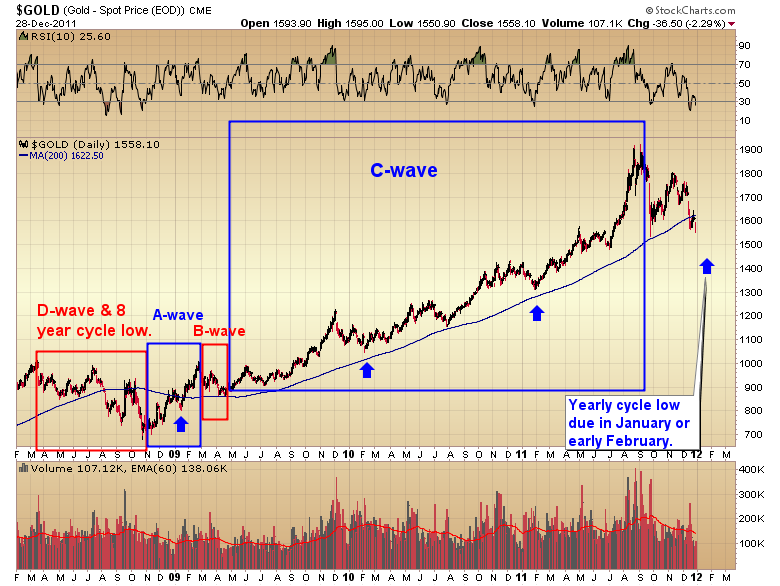 The combination of the dollar rally out of its three year cycle low, a yearly cycle low, and a D-Wave decline are going to produce a very sharp correction in the gold bull market. Before this is over most analysts will declare the gold bull dead. On the contrary sometime early next year you are going to get the single best buying opportunity we will ever have to reenter the secular gold bull in preparation for the bubble phase that should top in late 2014 or early 2015. As a matter of fact now that we have confirmed that this is an ongoing D-Wave decline Once that bottom has formed it will generate a violent A-wave advance that should test the 1800 to $1900 level rather quickly later this spring. Serious money will be made during the A-wave advance. One just needs the patience to wait for the D-Wave to bottom before jumping back into the pool. This entry was posted in Uncategorized on December 28, 2011 by Gary. This entry was posted in Uncategorized on December 22, 2011 by Gary. Potential stops have been posted to the website. This entry was posted in Uncategorized on December 20, 2011 by Gary. The mock portfolio change has been posted to the website. I need as many people as possible to try and login so we can determine if the bandwidth we added yesterday is sufficient. This entry was posted in Uncategorized on December 15, 2011 by Gary. This entry was posted in Uncategorized on December 14, 2011 by Gary. I think this weekend’s report is probably one of the most important reports I’ve written for gold traders and investors as to what I think is in store the next couple of months. I’m going to make the report available over the weekend for $1. 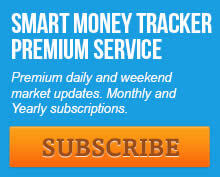 Actually you will have access to the entire site for the next two days for the price of one George Washington. You can either keep your subscription and it will convert to a monthly on Tuesday morning or cancel it Monday night and you won’t be charged another dime. Either way you will get access to a report that I think is important for every gold investor to read. If you decide to cancel do so by following the directions on the home page of the website. Click on the link above to go to the premium website and then click the subscribe link on the upper right side to link to the subscription page. This entry was posted in Uncategorized on December 10, 2011 by Gary.